Kultan: The World Beyond is a free-to-play action-packed fantasy MMORPG that can directly be played any major internet browser, allowing fearless explorers to set sail on an epic voyage of discovery to the mystical, once-forgotten continent of Kultan. 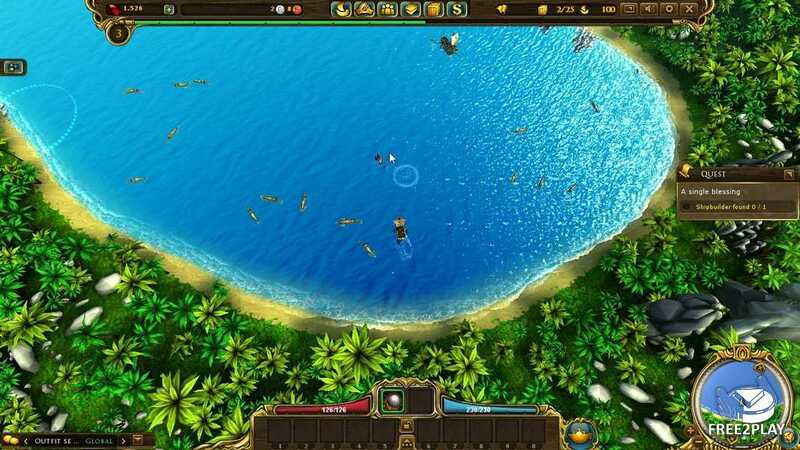 The game features fantastic 3D graphics, a dynamic skill and quest system as well as PvP and PvE action.Your arrival in Kultan, as a Commander, Adventurer or Mystic, marks the start of your bid to seek fame, fortune and power. When reaching level 5, players are able to hire their first officer in various cities at certain ports. Other officers are unlocked later on in the game. Leveling up the officers gains skill points, which can then be distributed to the various abilities. Officers have three standard skill columns, plus two Prestige skills available. Each skill can be increased to a maximum of Level 3, except for the Prestige skills. These are extra skills that are activated by high morale. The old, wise people of Almeerah trusts in divine power and the traditional martial arts of their ancestors. They believe in the return of an ancient enemy. The ancient culture of Tian still forms the foundation of this proud and pitiless people. They pursue their goals of fame and glory with dedication and strict discipline. The people of Gudtholm have always been ingenious. They worship the spirits of Machinamentum and relish the challenge of inventing sophisticated devices and machines. Adventurers are skilled survival artists. Effectiveness is the key to their fighting style: They never give enemies an honourable warning as they're just going to sink them anyway. Commanders are battle-tested and hardened seafarers. It takes a lot to rile them and thanks to their strength and confidence they fight fearlessly. Commanders value the loyalty of their crew and take excellent care of them. Regardless of which school of magic they belong to, mystics are true masters in harnessing spiritual forces they use to cause enormous damage and enhance the performance of their crew.